Joanne Righetti, Cathy Beer, Michael O'Donoghue, Sandy Matheson, Anne Fawcett and Tim Vasudeva at the launch of the 2018 Jetpets Companion Animal Rescue Awards. Photo: Jo Lyons Photography. There are thousands of people, and around 900 rescue and animal shelters, across Australia who devote a good chunk of their lives and resources to rehabilitating and re-homing companion animals. From scooping out litter trays to training reactive dogs to helping animal victims of cruelty and doing it all on a shoestring, its tough work. There is sweat, there are tears. But these amazing people and organisations saves lives. You can watch a video about the awards, produced by Ruff Diamonds, here. Cathy has been a huge advocate for companion animal welfare and pulling something like this together isn’t easy. I know she has been working on the project for some time, contacting prospective judges, sponsors and experts in the animal rescue space to ensure these awards make an impact. And everyone will benefit. If we recognise and reward the best, we can also learn from them: what are the best ways to meet animal welfare needs in shelter settings? What are the best animal shelters and council pounds doing? What are the most effective strategies for outreach? There are seven award categories, with one winner for each category. Award categories 1 – 6 are for re-homing organisations. Award category 7 is for Aussie pet guardians who have adopted or fostered a pet. 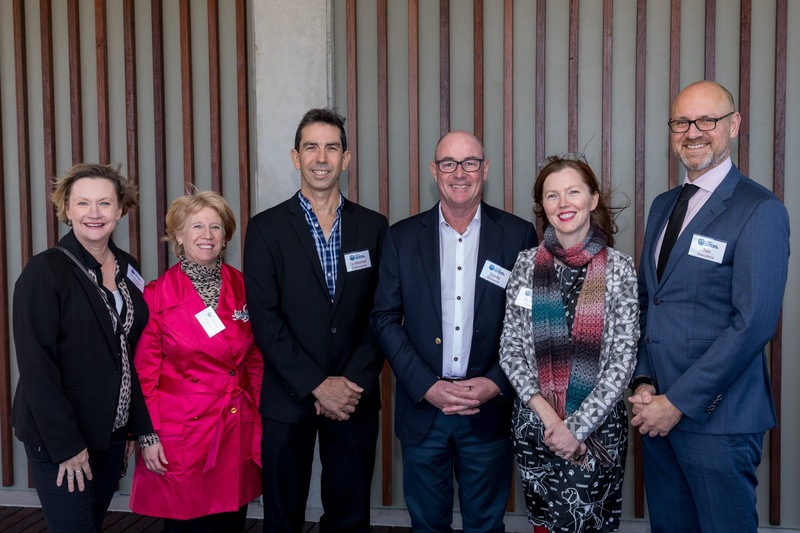 The launch today was a special event, with a talk by renowned animal behaviourist Dr Joanne Righetti of Pet Problems Solved, also the Awards Ambassador. We were also treated to a K9 Nose Work® demonstration by celebrity animal trainer Peta Clarke and her amazing three dogs – and cat! I’ve not seen a Nose Work demo before, certainly not one involving a cat, and I was totally impressed. 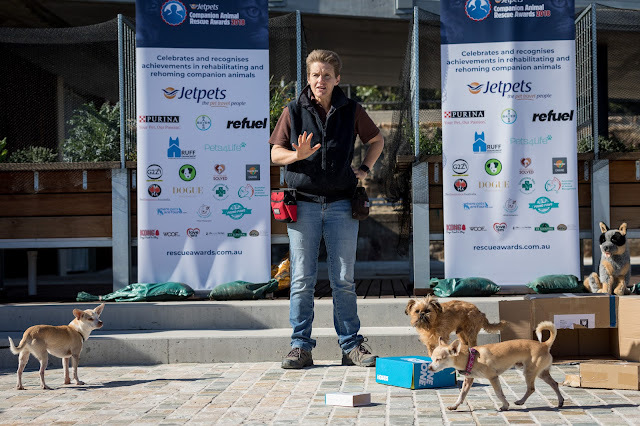 Peta Clarke does a Nose Work demo at the launch of the 2018 Jetpets Companion Animal Rescue Awards. Photo: Jo Lyons Photography. If you are involved with a companion animal rescue organisation, or know someone who is, the details are below. The application process itself is a chance to reflect on your strengths and plans for the future - and a chance to be recognised for all the hard work.